Dramatisation of the 1940 evacuation of Allied troops from the French coastal town. Too often, history disappears in a fog of maths. We all know the year the Battle of Hastings was fought, or the date Columbus discovered the Americas, but beyond that the details aren't so clear. We know more about WWII, chiefly because it was the first war of the media age, documented in real time by radio coverage and for posterity on film. We can counter the claims of holocaust deniers thanks to footage shot by allied cameramen during the liberation of death camps, whereas the voices of victims of earlier campaigns of genocide are growing more silent with every passing day. And of course there are still some living among us who experienced the conflict first-hand. Despite this, even WWII is dominated by numbers. We may groan every time a new holocaust-themed film arrives, and accuse it of awards-pandering, but regardless of their filmmakers motives, we need these films - otherwise we're left with a figure, six million, too large to wrap our heads around. It was arguably the most decisive moment of WWII, yet all most of us know about the 1940 evacuation of allied troops from the French coast at Dunkirk is another number - 400,000 men safely rescued from France by a flotilla of boats, both military and civilian. With his dramatisation of the event, Christopher Nolan puts faces to the figure, viewing the operation through the eyes of four men. At ground level is Tommy (Fionn Whitehead), a private in the British army, stranded on the beach along with thousands of his comrades. In the air is Spitfire pilot Farrier (Tom Hardy), one of the few RAF pilots charged with taking on the German bombers intent on sinking the ships and boats headed for the rescue mission. In charge of one such vessel is Dawson (Mark Rylance), who picks up a shellshocked survivor of a sunken rescue ship (Cillian Murphy) along the way. One of the men in charge of the evacuation at Dunkirk is Navy Commander Bolton (Kenneth Branagh), the Blighty whose cliffs he can see through his binoculars seeming a million miles away from the horrors of the French beach. 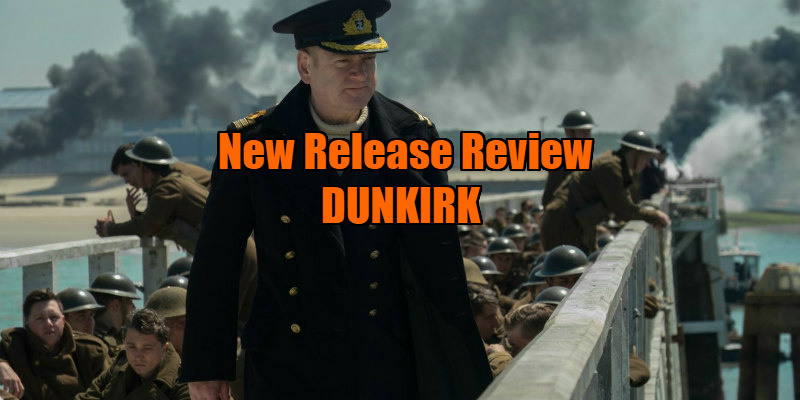 Dunkirk is a resolutely old-fashioned epic, unconcerned with the dos and donts of contemporary Hollywood storytelling. Nolan's quartet of central characters don't provide distinct subplots so much as distinct perspectives. The director isn't concerned with telling a story, preferring to create an experience, using the cinematic tools available to give us a sense of how it might have felt to have been one of the 400,000 men caught up in the scenario. In lesser hands this could play like a traditional disaster movie, introducing us to an array of familiar faces only to cruelly pick them off. Instead, what Nolan has fashioned is closer to the propaganda films of silent Soviet cinema, more Battleship Potemkin than Titanic. Though some of its characters are given more screen time than others, we never get a sense that any of their lives are more valuable than those of the thousands of extras that populate the background of the film - here every man is part of something greater than themselves. 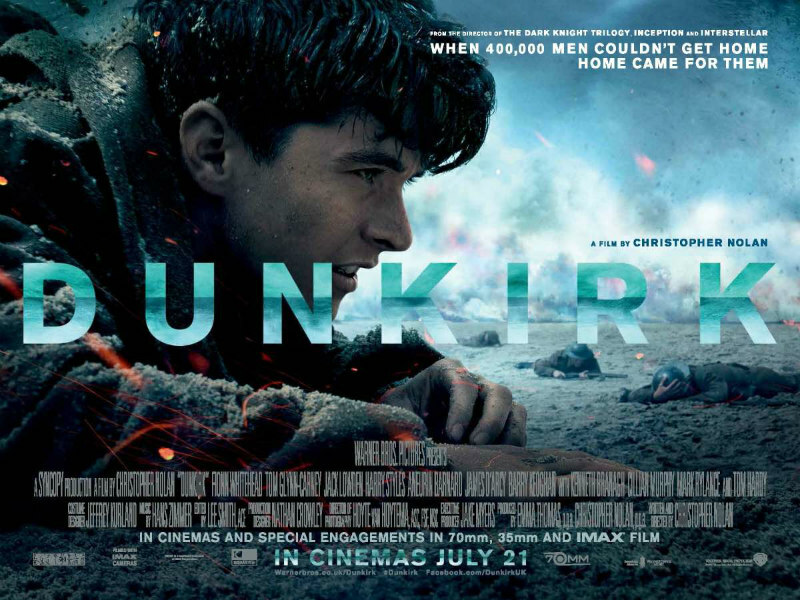 Under Nolan's stewardship, Dunkirk plays out as a traumatic 100 minute experience, and a more stressful watch you're unlikely to find in mainstream cinema. Like all good propaganda, it decisively takes one side, with the Germans remaining literally faceless, represented by machinery rather than men. All we see of the Nazi enemy are their planes. All we hear are their gunshots, bombs and most chillingly of all, the distinctive wailing siren of the Stuka dive-bomber, a highly effective instrument of psychological warfare whose screeching terror will threaten to tear apart the speakers at your local multiplex (by contrast, the hum of the Spitfire's Rolls Royce engine is positively soothing). It's a reminder, along with the skull and crossbones insignias and camouflage designed for fighting in cities rather than fields, that like no other aggressor, the Nazis knew they were the bad guys. Some may take issue with this dynamic and argue that even Nazis deserve a human face. That's a hill I have zero interest in dying on; better we remember their destruction than their faces. As a medium, film played an integral role in the documenting of WWII, so it's fitting that Nolan has opted to shoot his movie entirely on 70mm. Determined not to have his film corrupted by any digital passovers, Nolan insisted the movie should be an entirely analog undertaking, so CG is entirely absent. What's on screen here is literally what Nolan got on the day. What you see on screen is what the cameraman saw through his lens. This may be lost on the average viewer, but anyone with an inkling of understanding of the filmmaking process, and especially of how cumbersome a 70mm IMAX camera is, will be blown away by the images presented here. Planes constructed 80 years ago engage in nail-biting dogfights above beaches populated by thousands of human extras. Ships explode and submerge in real time before our eyes. Stars and extras alike react to what must be genuine terror as the beach is uprooted by controlled detonations. When Nolan shoots Farrier's Spitfire on a victory lap above the crowded beach - an image so awe-inspiring no amount of CG could ever match it - it feels like he's giving the finger to conventional Hollywood wisdom, and it's impossible not to applaud him as the troops below cheer on their saviour in the sky. This summer I've found myself blown away by the digital effects of the latest installments in the Transformers and Planet of the Apes franchises, and CG has no doubt made giant leaps in recent years, but it will never match the capturing of physical reality by the camera. See Dunkirk, and keep the film in filmmaking! Dunkirk is available to rent on DVD now.